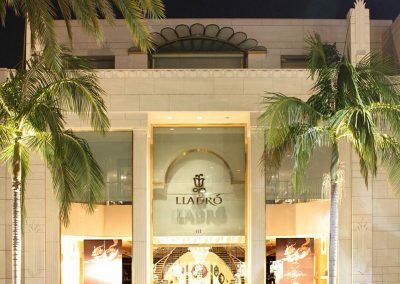 Located on prestigious Rodeo Drive, this 16,000-SF flagship store showcases intricate porcelain treasures which have made Lladró famous around the world. 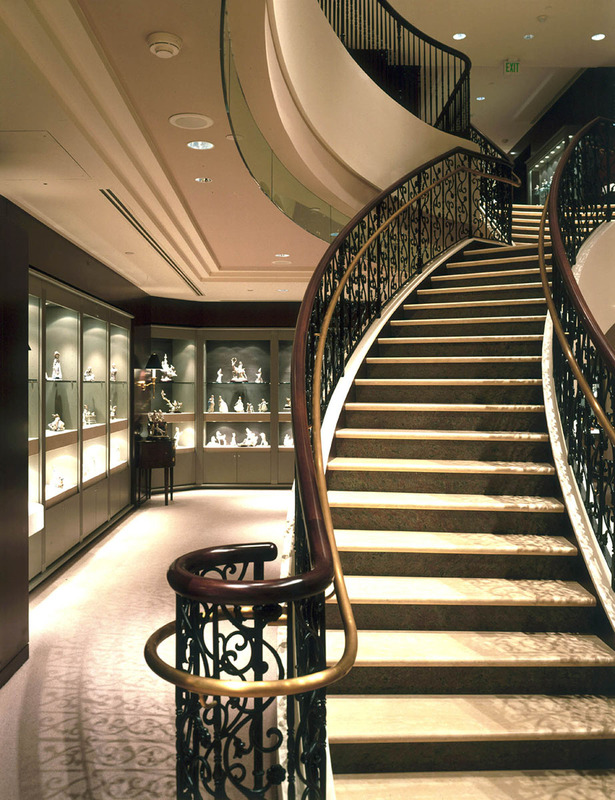 Floors are of imported travertine, while the millwork and paneling are fashioned from exotic mahogany. 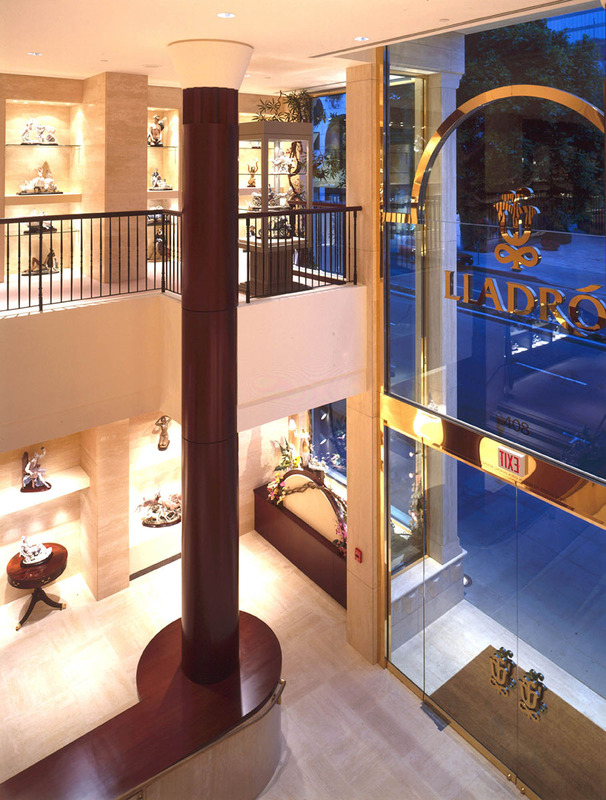 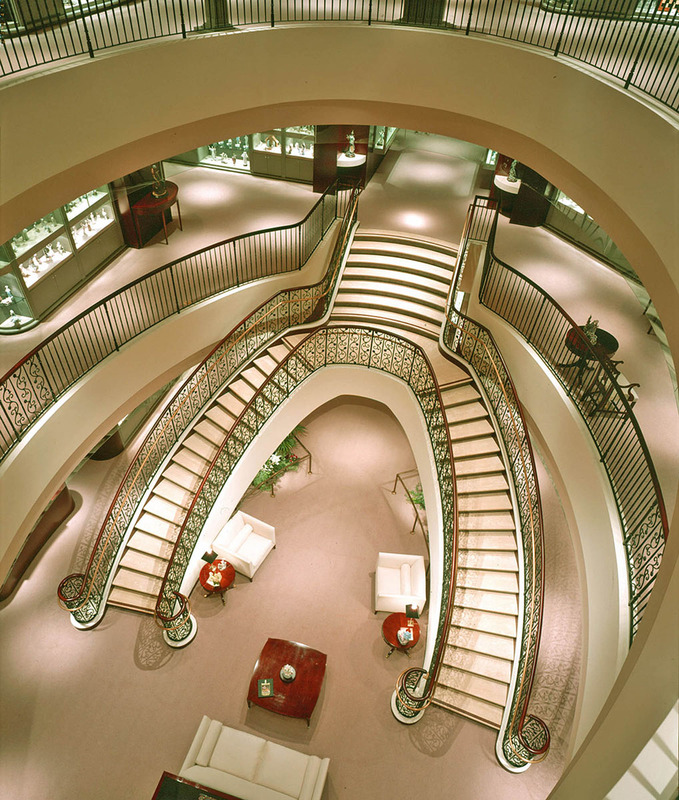 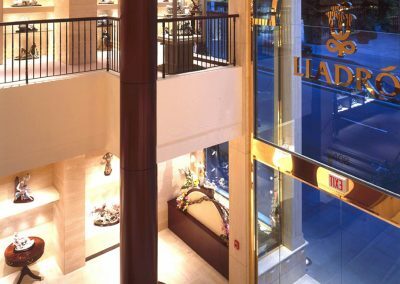 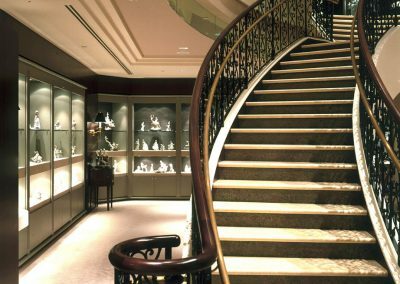 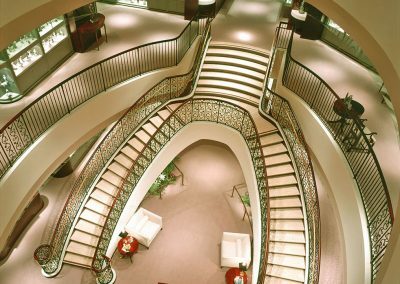 A grand elliptical staircase provides a focal point at the center of the store with an ornate wrought-iron rail system and an atrium skylight. 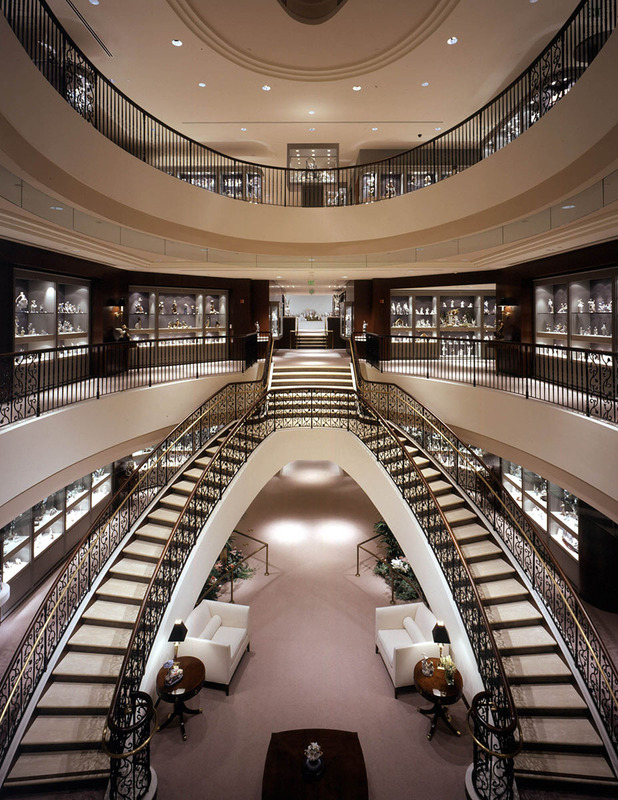 The second level contains a museum showplace for special events, while a third floor houses the wholesale division. 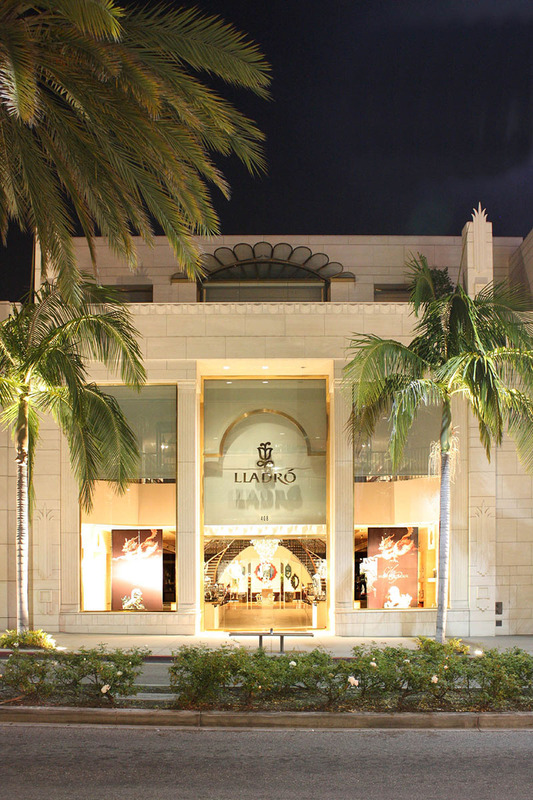 The Beverly Hills store won an Excellence in Design Award from the Architecture Commission of the City of Beverly Hills. 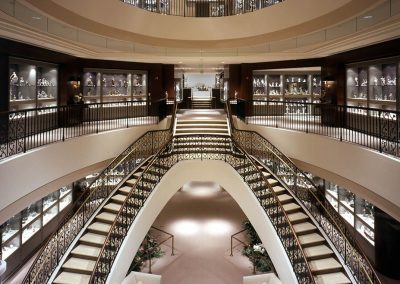 In addition to this store, Gruen Associates is the Architect for over 60 galleries and stores in other locations including New York, Miami, Pasadena, Costa Mesa, Palm Desert, Glendale, San Jose, Cincinnati, Fort Lauderdale, Tampa, and Atlanta to name a few.